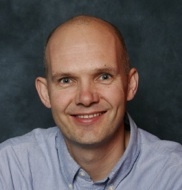 Iain McCulloch visit (and Angel’s talk)! The FRG had the pleasure of hosting Prof Iain McCulloch, from Imperial, on Wednesday. Iain’s talk was preceded by a student mini symposium, where Angel also spoke! Angel gave a great presentation, which was then followed by a fantastic lecture by Iain on the “Design of Polymer Semiconductors for Solar Cells and Organic Electronics”. It was great to hear the latest results from Iain’s group, and an exciting opportunity to hear about some of our own students’ research! 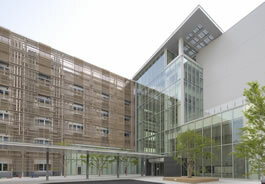 Terry McMaster and Charl visited the International Center for Materials Nanoarchitectonics (MANA), a prestigious world premier institute and part of the National Institute of Materials Science (NIMS), in Tsukuba, on Wednesday afternoon. They were hosted by Prof Masa Aono, director of MANA, during their very brief visit, which included talks and a short laboratory tour. 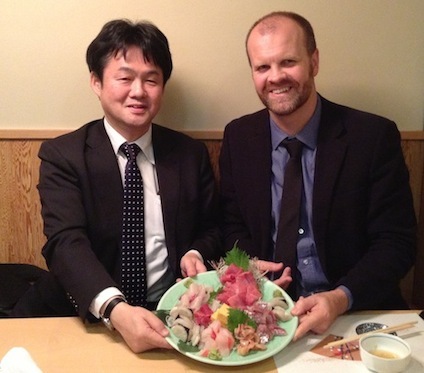 Although very brief, it was a great opportunity to meet with prof Aono and colleagues. 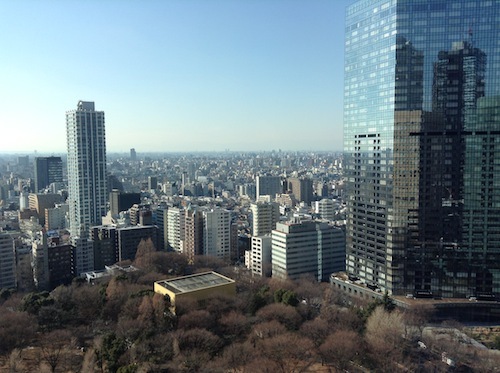 Charl had the chance to experience the world-leading research activities in materials chemistry, supramolecular chemistry and self-assembly at the University of Tokyo. Prof Takashi Kato, the perfect host, organised an excellent visit for Charl, including a research seminar on Tuesday morning, and many interesting discussions. 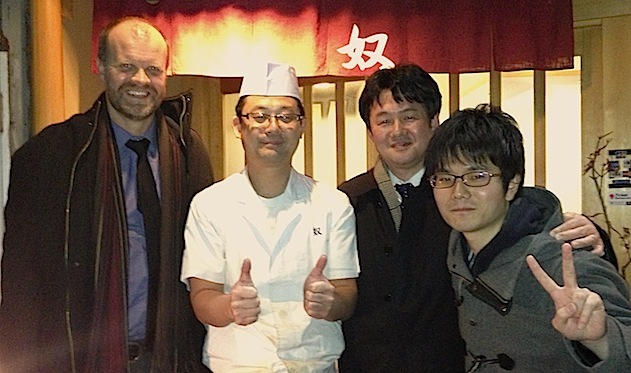 Takashi also ensured that Charl experienced excellent Japanese food! 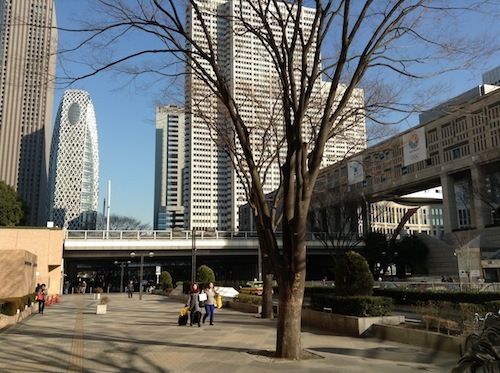 Charl also had the chance to look around Tokyo on Sunday (especially Shinjuku district). 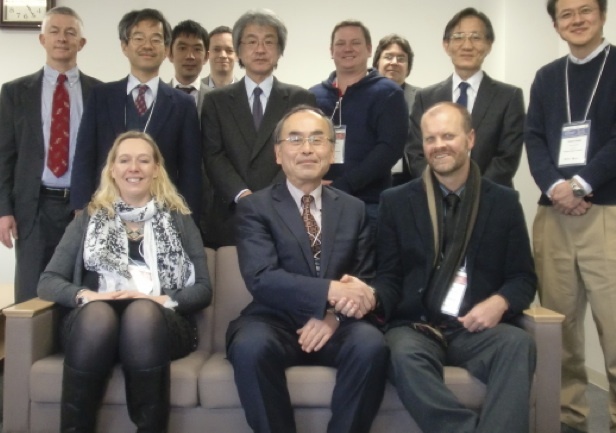 2014 and the second Kyoto-Bristol Symposium! After a good Christmas break, the year has started on a high note! A large number of academic staff members from the University of Bristol traveled to Kyoto for the 2nd Kyoto-Bristol Symposium. A number of colleagues from Bristol (the School of Chemistry and the BCFN) and Kyoto took part in the “Physical Chemistry and Materials Chemistry Session”, co-organised by Prof Mitsuo Sawamoto and Charl. A number of new collaborative projects were explored, and all participants had a fantastic time in beautiful Kyoto!